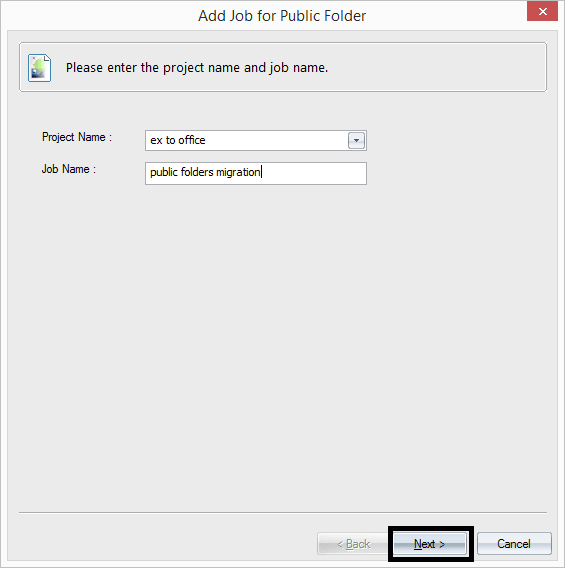 How to Migrate Exchange 2013 & 2016 Public folders to Office 365? The process of migrating Public Folders is a complicated one unfortunately. Luckily, if you are migrating from Exchange 2013 or Exchange 2016 then Microsoft has made things a bit easier for you, this is still going to be a bit of a slog to complete, but much less so than migrating from legacy versions of Exchange. I would recommend that you save them all in a folder called C:\PFScripts to make following this article easier. If this comes back with any results simply rename the public folder without the backslash. Now we need to check for the existence of any previous successful or failed migration attempts. If you see can see PAW listed then carry on, if it is not enabled you will likely need to speak to office 365 support. In the Exchange Online EAC check that there are no existing public folder mailboxes, if there are delete them. If you’ve previously done Exchange 2007 or 2010 Public folder migrations you’ll be relieved to learn you only need to generate these 2 files. When prompted enter the login details for your Exchange Online admin account. This can take up to 2 hours to replicate around and take effect for all users. And that’s it, you are finally done! If you are looking for an easier route to migrating Public Folders to Office 365 consider trying. If you are looking for an easy method to migrate your public folders to Office 365, then you only need to use Kernel Migrator for Exchange which is a perfect choice to migrate public folder to any desired destination. Exchange Migration tool migrates public folders to Office 365 along with all its permissions and limits. 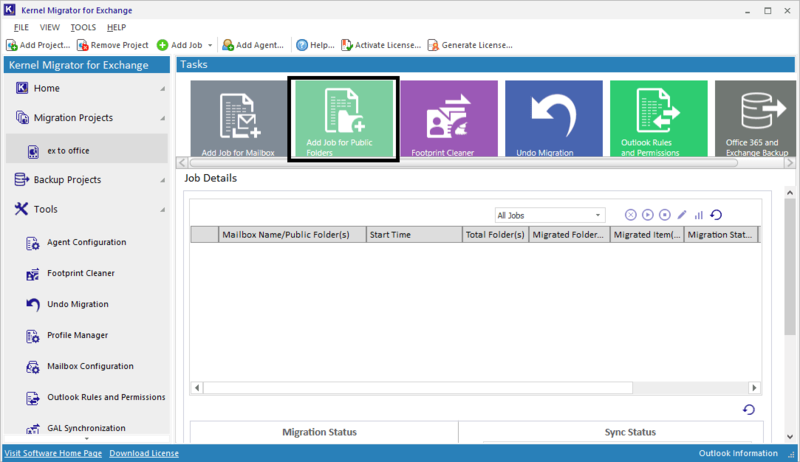 Before starting the migration, it lets you run a pre-migration analysis and understand the time required for the migration. It also provides an option to undo the migration process if the migration was interrupted in midway due to any situation. 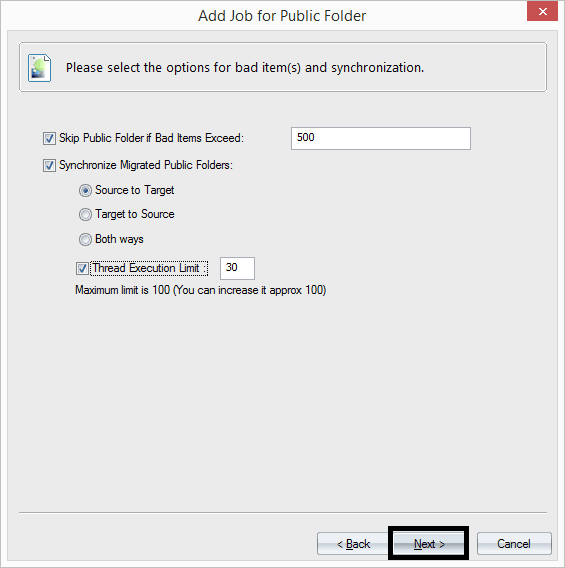 Let us go through the migration process performed by Kernel Migrator for Exchange for migrating Exchange 2013/2016 public folders to Office 365. Open Kernel Migrator for Exchange software application. Click Add Project from the home screen to add a project. Now click on Add Public folders. Provide a job name and click Next. 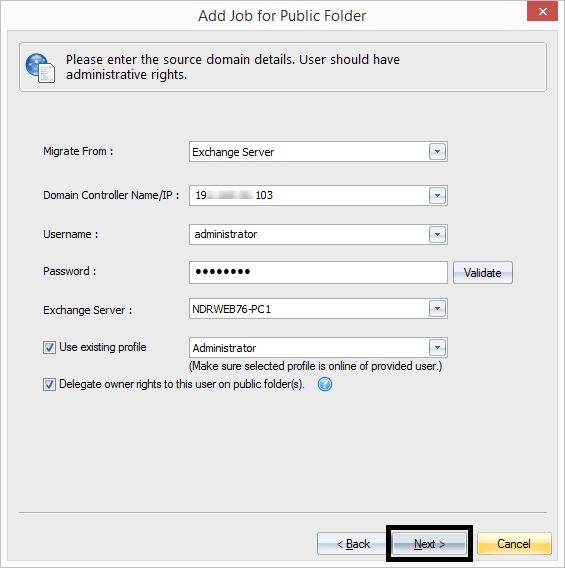 Enter the source domain (Exchange 2013) login details. Validate those details with the Validate option. 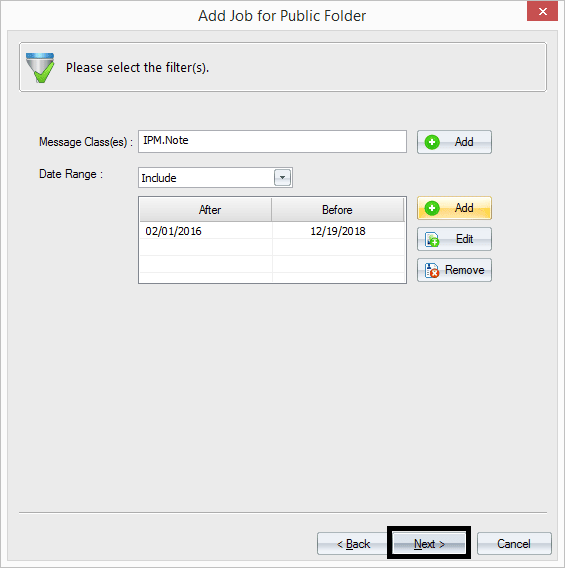 You can Use existing profile also and delegate owner rights to this user on public folder(s). After providing complete information, click Next. 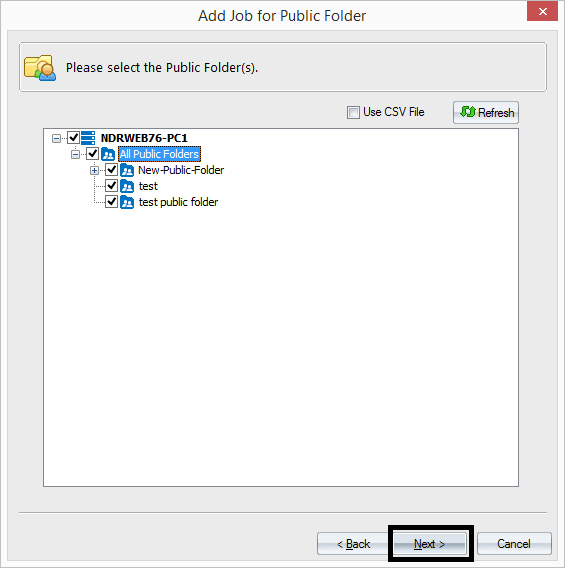 Select required public folders from the retrieved list and then click Next. 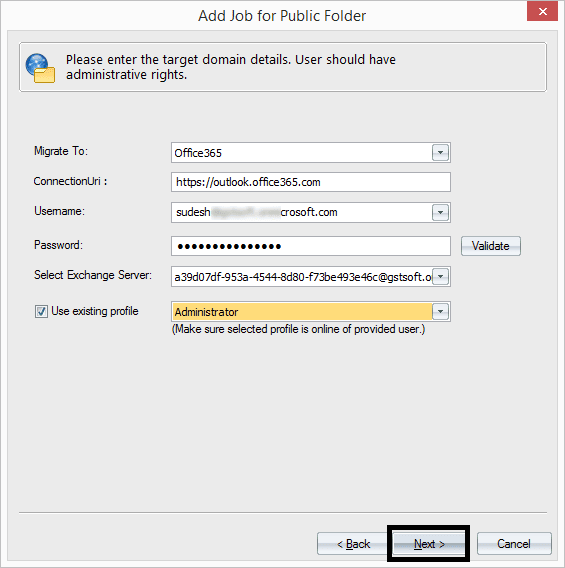 Provide the target domain (Office 365 account) details like user name and password. Validate them with the given option. Click Next. Apply the filters like Message classes, Date range, etc. and click Next. Select the options to manage bad items and synchronization. Then click Next. Provide the e-mail address to set notifications as per your need and click Next. 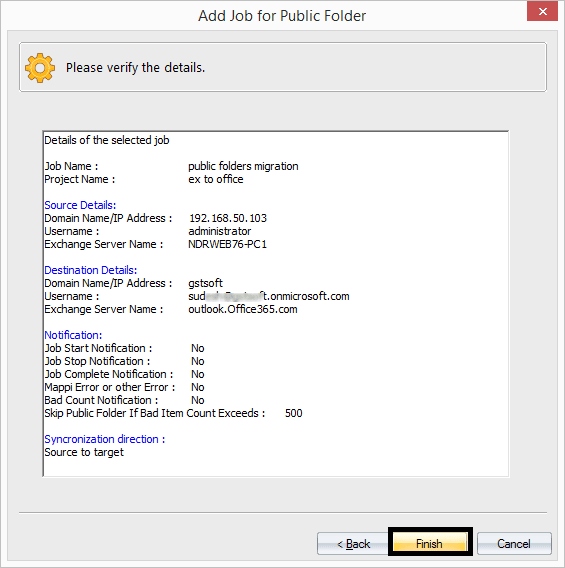 Verify the details given in the summary and click Finish to start the migration. Within minutes, migration of Exchange public folders to Office 365 is finishedand the migration status is shown. 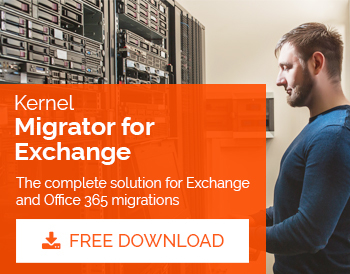 Thus, you can perform any Exchange and Office 365 migration swiftly using Kernel Migrator for Exchange. 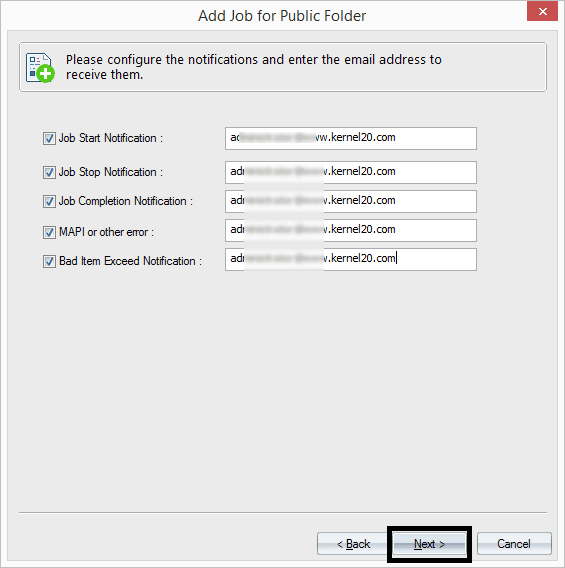 How to Migrate Exchange 2007 & 2010 Public Folders to Office 365? How to Resolve Exchange 2010 Error that is Unable to Mount Database? How to Fix Exchange Jet Engine Errors? How to Repair Private EDB File Error?